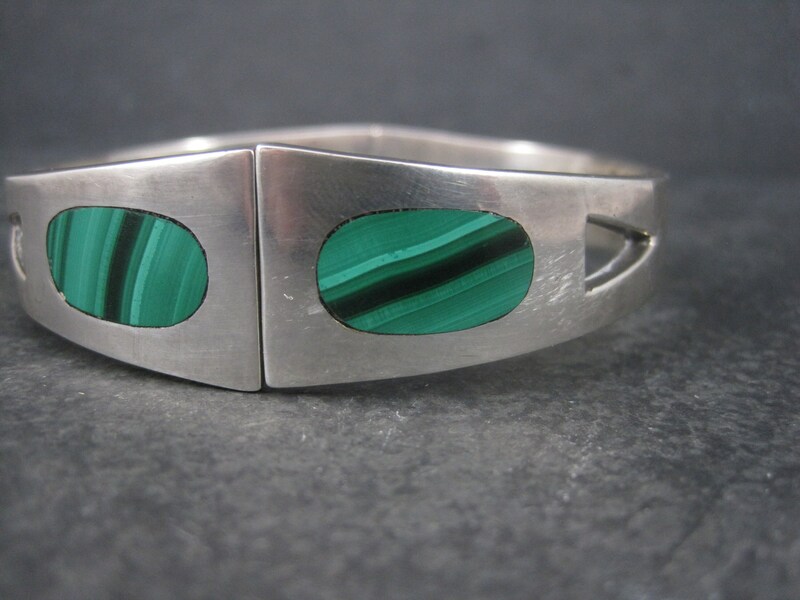 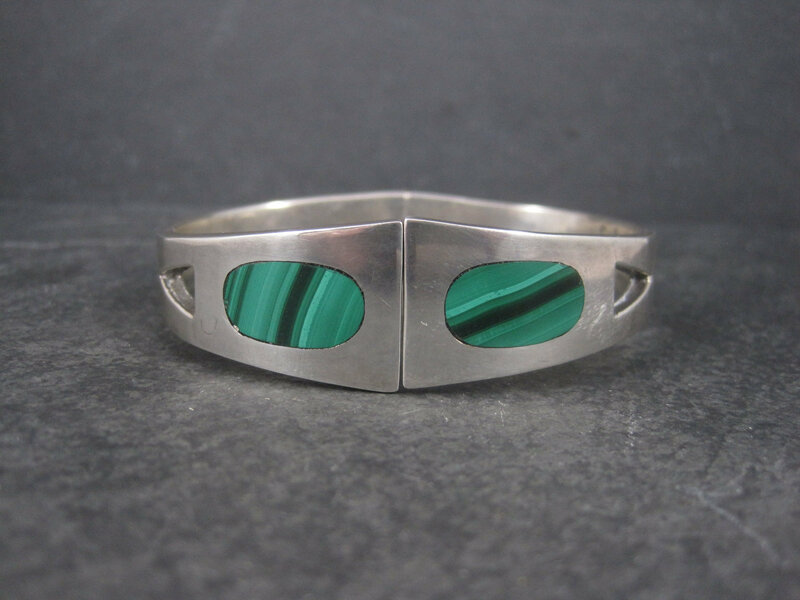 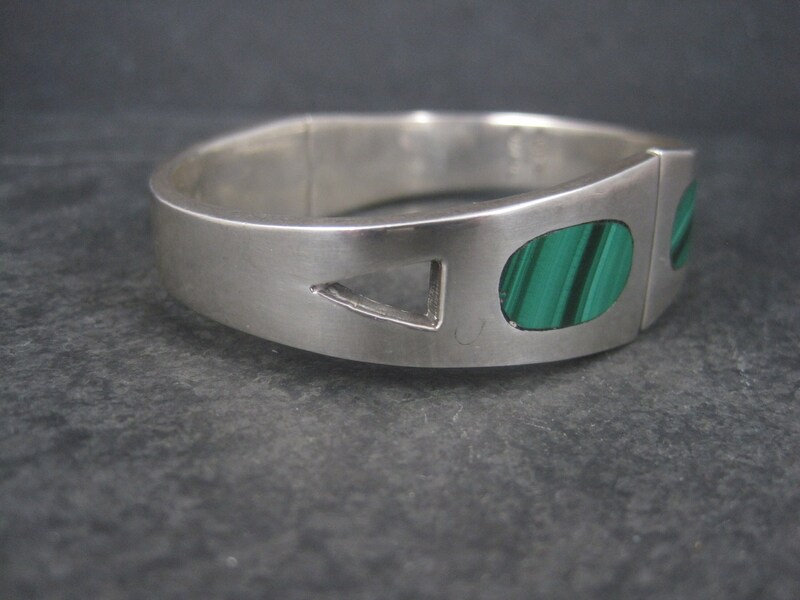 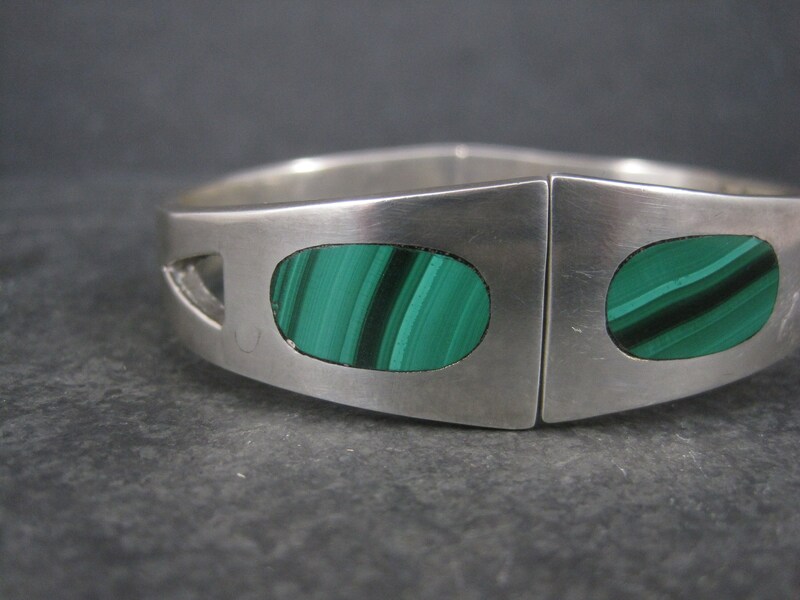 This gorgeous vintage clamper bracelet is sterling silver with malachite inlay. 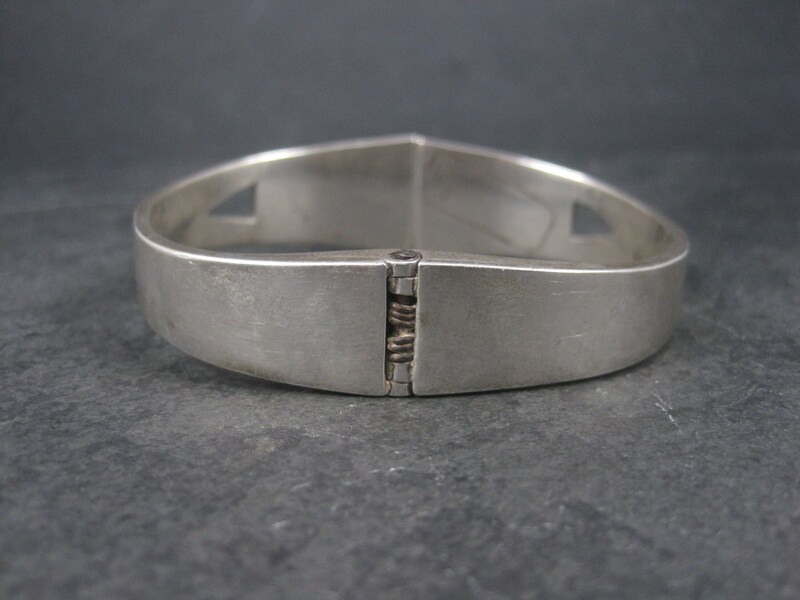 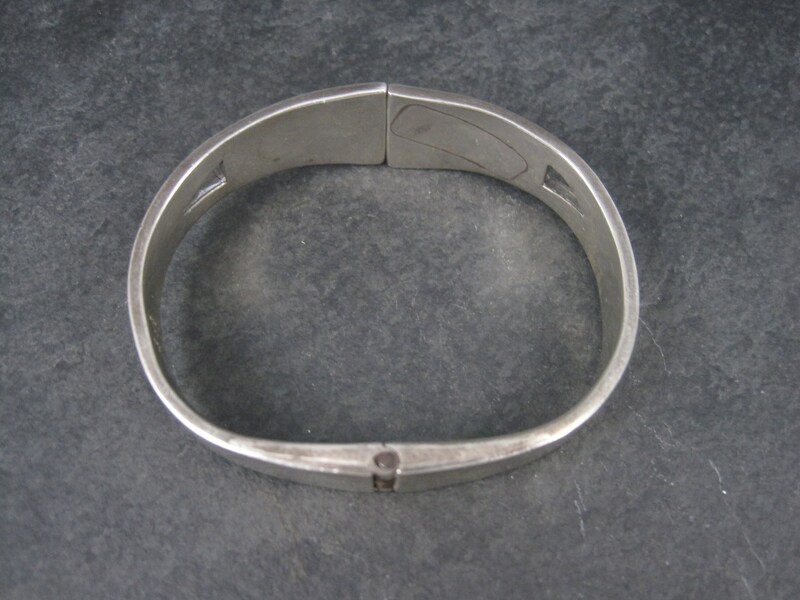 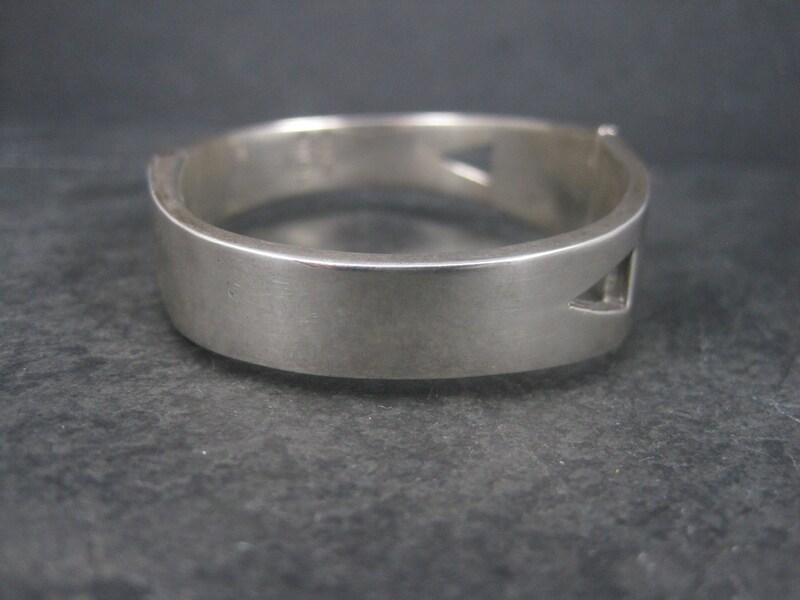 The face of this bracelet measures 3/4 of an inch and tapers down to 7/16 of an inch at the sides. 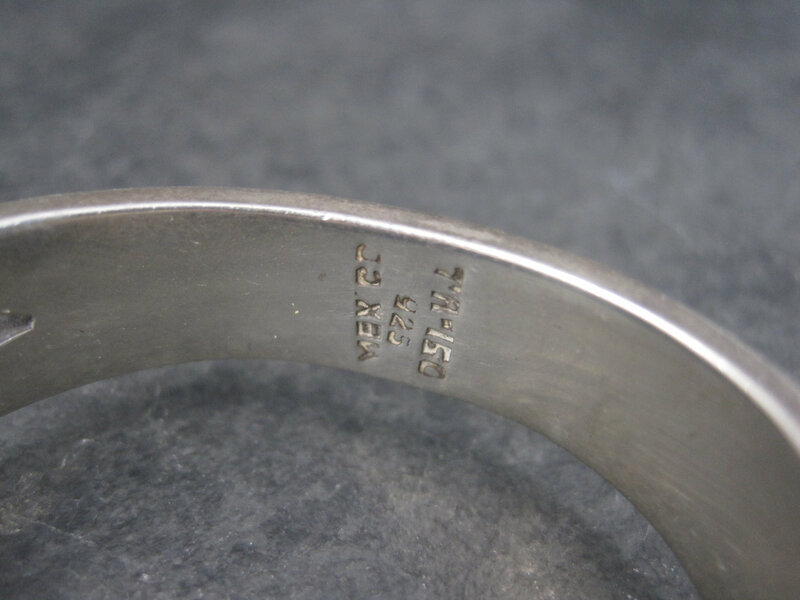 It has an inner circumference of 6 3/4 inches.